Car trouble is never convenient, and it often comes with a vengeance that leaves you scrambling to figure out how to handle the situation. 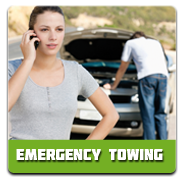 To make it more manageable for you, professionals in the auto industry have formed Super Towing Ottawa to provide licensed wrecker services so that you can get your car serviced and taken care of right away. Available 24 hours a day any day of the year (including holidays! ), our technicians are ready and prepared to come to your aid the moment you call. We have trucks all over the Ottawa region, ready to work, so we’ll be there to help within 30 minutes of the time you speak to us. 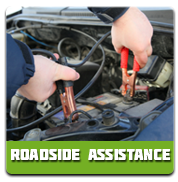 We’ll also be fully equipped with all we might need to provide you with emergency roadside assistance and towing because customer satisfaction is our first priority as we proudly serve those in the Ottawa area. Wrecker services aren’t good enough unless they’re complete towing services. Thus, here at Super Towing in Ottawa we provide local and long distance towing for vehicles of all makes and models, as well as other property. We know that long distance towing can be rough on your vehicle because of issues such as the wear and tear on your tires. 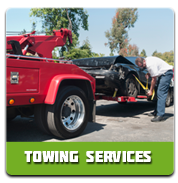 Therefore, we offer wrecker services with various kinds of tow, including flatbed, heavy duty, lightweight, dolly, and more to make sure that your car is towed as it ought to be without additional wear and tear. The plan is to get your car transported as safely and efficiently as possible, and Super Towing technicians have the experience and training to guarantee that for you. We also offer motorcycle towing as well as accident removal towing. Super Towing Ottawa focuses on serving customers first, which is why we are available any time of day or night to serve you. Disaster always seems to strike when it is least convenient for everyone, like when you’re on your way to the airport or at 2 o’clock in the morning or on your child’s first day of school. But our technicians will always be there to rush to your side within 30 minutes with no thought for their own inconvenience because your needs are important to us. The best guarantee a quality wrecker service can provide is their professional business guarantee. Super Towing is fully licensed and bonded and puts each and every technician through rigorous training before certifying them to work for us. Our company’s professional service comes with elements like our honest pricing policy, your safety first, quick service, and all of your questions answered. It’s important to be able to trust a company to put you first, and our reputation built on years of quality service is our guarantee that we value customers first.